Questions about non owner FR44 insurance? We have the answers. Call us today or get a quote now. In Florida and Virginia, when your license is suspended after a DUI violation and you don’t own a vehicle, you’ll have to file a non owner FR44 certificate to reinstate your license. To continue driving during a DUI license suspension, non owner FR44 insurance must be carried without any lapse. The FR44 form is attached to a non-owner insurance policy and filed with the state DMV by an insurance provider. UltraCar Insurance offers non owner FR44 insurance to non-vehicle owners in the states of Florida and Virginia. Non owner FR44 is a certificate that is filed to reinstate your driver’s license after an alcohol or drug related suspension. Florida non owner FR44 and Non owner FR44 Virginia are high risk insurance policies specifically for alcohol related motor vehicle violations. This type of insurance is also known as Florida DUI insurance and Virginia DUI insurance. Individuals who don’t own a vehicle must purchase non owner insurance as a condition for license reinstatement. A non owner FR44 policy must be filed with the Florida or Virginia DMV by a licensed insurance agent. UltraCar Insurance files your FR44 certificate electronically on your behalf. In order to continue to driving during your suspension period, the FR44 policy must be carried for that entire time period, without letting the policy lapse. Non owner insurance is usually required for a period of three years, and your insurance provider is required to monitor the status of your policy closely during that time. If you decide to drive after consuming alcohol or taking prescription or non-prescription drugs, you greatly increase the risk of being involved in an accident that results in injury or death. 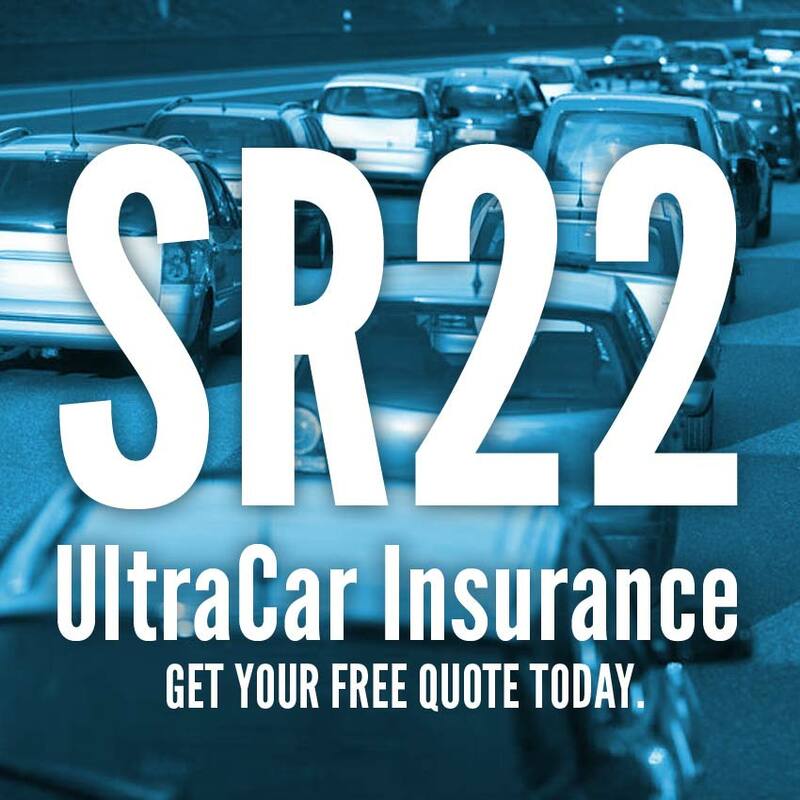 Therefore, you can expect to pay higher premiums for FR44 insurance than for non owner SR22 insurance (SR22 insurance in Florida and Virginia is required for non-alcohol related offenses). Offenses that involve alcohol or drugs are much more serious in nature, thus the higher premiums and minimum coverages are required. The minimum coverage requirements for Florida non owner FR44 are $100/$300/$50. Minimum coverages required for Virginia non owner FR44 are $50/$100/$40. Non owner insurance is secondary insurance with liability only coverage. If you drive a non-owned vehicle and are involved in an at-fault accident, your FR44 policy will pay claims that the vehicle owner’s primary insurance does not cover, up to the limit of your FR44 policy. They provide liability-only coverage (no collision or comprehensive coverage can be added, because non owner policies do not insure a vehicle). They cover you, only when driving a non-owned vehicle on an occasional basis. They do not cover you when driving household vehicles that you have regular access to. They do not cover you when driving a rental vehicle, a commercial vehicle or any type of employment-related vehicle. In Florida, non owner FR44 certificates are assigned a 9-digit case number by the DMV, starting with the number 4. FR44 certificates are usually issued for a 6-month period, with the first 6-month premium to be paid in full immediately. You may be able to pay monthly premiums after the initial 6 months, or when the policy is renewed, which is more affordable for most everyone. UltraCar Insurance agents are licensed in Florida and are glad to answer all your questions about Florida non owner FR44 insurance. Start a quote now, or give us a call today. If you own a car, truck or motorcycle you’ll need an owner’s Florida FR44 insurance certificate or Virginia FR44 insurance certificate to reinstate your license. SR22, FR44 and Business Insurance News Latest Updates. The costs associated with DUI insurance Florida FR44 are among the highest in the nation, and you’ve probably wondered why. Even standard auto insurance in Florida is much more expensive than in other states. An obvious contributor to the high cost of Florida auto insurance is the state’s unpredictable weather, especially hurricanes. Just one hurricane in a year can cause an avalanche of claims that result in premium adjustment increases statewide. But a major reason that Florida auto insurance rates are higher than in other states is the Florida No Fault Law, which allows PIP (personal injury protection) claims.